Graphene can be produced one hundred times more cheaply using commercially-available copper for it to form on, scientists from the University of Glasgow claimed. Cheap, mass-produced graphene is seen as the Holy Grail for several new technologies. It is the strongest material we know of. 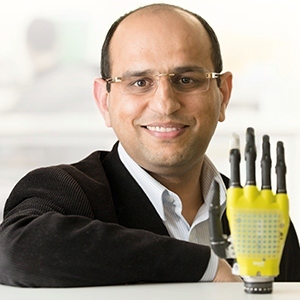 Graphene, for example, could be used to make artificial skin that would provide sensory feedback for limb prostheses (false limbs) that would dramatically change patients’ lives. Graphene, which was initially isolated from graphite in 2004, is a 1-dimensional (1 atom-thick), super-light, flexible material that is 207 times stronger than steel. It is also an incredibly efficient conductor of electricity and heat. The researchers explained in the open-access journal Scientific Reports that the main problem has been the cost of production, which hindered its widespread adoption by industry – that is, until now. 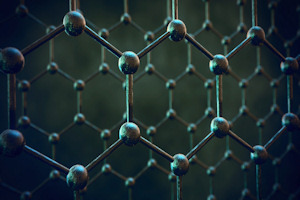 If graphene production became commercially viable, it could be used in a number of industries, including biological engineering, aerospace engineering, optical electronics, ultrafiltration, photovoltaic cells and energy storage. The most popular way to produce graphene is through a process called CVD (chemical vapour deposition), a chemical process that converts gaseous reactants (substances that take part in and undergo change during a reaction) into a graphene film on a special surface (substrate). Team leader Dr. Ravinder Dahiya, from the School of Engineering at the University of Glasgow, and colleagues used a similar process to produce top-quality graphene across the surface of commercially-available copper foils of the type commonly used as the negative electrodes in lithium-ion batteries. Copper has an ultra-smooth surface, making it an ideal material upon which graphene can form. According to the authors, when they made electrical and optical transistors using the their graphene, their performance was considerably superior to similar material produced from the older process. Dr. Dahiya and team, who described their achievement as ‘very exciting’, are keen to carry on with their research. The scientists at the University of Glasgow worked together with researchers from Bilkent University in this research. The study was finance by the European Commission and the EPSRC (Engineering and Physical Sciences Research Council). Reference: “Synthesis of Large Area Graphene for High Performance in Flexible Optoelectronic Devices,” Nurbek Kakenov, Emre O. Polat, Osman Balci, Ravinder Dahiya, Hasan Burkay Uzlu and Coskun Kocabas. Scientific Reports. 18th November, 2015. DOI: 10.1038/srep16744.